Mamenchisaurus was a dinosaur that lived during the Late Jurassic period and was the biggest sauropod of its time. Found in Asia and pronounced mah-MUN-chi-SAWR-us, the name means “Mamenchi lizard” and comes from the Chinese Pinyin and men, respectively ma men. Chi is the Chinese translation of “stream” or “brook”. When these are combined with the Greek suffix –saurus, then we get Mamenchisaurus, or “Mamenxi (Ferry) lizard”. Mamenchisaurus is the largest known dinosaur from Asia and has the longest neck of any yet discovered dinosaur, which itself measures up to 36 feet. The type species is Mamenchisaurus constructus. Species types later designated are: M. changshouensis, M. hochuanensis, and M. jingyangensis, M. sinocanadorum. 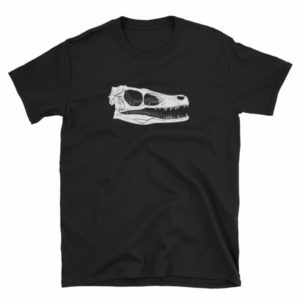 What Did Mamenchisaurus Look Like? Mamenchisaurus was a very large prehistoric dinosaur. To date, Mamenchisaurus is the largest sauropod to be found in Asian territory excavations (Mamenchisaurus is only found in Asian soils to date). This immense Jurassic creature had an apparently heavy build, with its body being large enough to hold the massive stomach and digestive tract of its herbivorous nature. The neck is so long in comparison to the length of its body that it is believed to have been utilized to expend the least amount of energy while feeding on area leafy greens. It neck was so long that it made up half its total length, and was the longest neck of any dinosaur ever found, itself measuring up to 36 feet. Mamenchisaurus had a tiny head with nostrils at the top and a small mouth with peg like scooped teeth. Due to the construction of its limbs, Mamenchisaurus was as first classified as a diplodocid dinosaur; however, more recent studies have determined that Mamenchisaurus is otherwise related, and had since been classified to the unique Euhelopodidae family of dinosaur. Since that time, Mamenchisaurus and other former Euhelopodidae have been reclassified again to the family Mamenchisauridae. Now, the traditional Euhelopodidae has been virtually left behind and its species type Euhelopus stands on its own. Mamenchisauridae has been classified as a family of sauropod dinosaurs. Based on earlier discoveries and subsequent studies, Chinese paleontologists C. Young and H. Chao described Mamenchisaurus and its sauropod traits. Other possible Mamenchisaurid dinosaurs could have been Bellusaurus, Hudiesaurus and Tonganosaurus. Mamenchisaurus was an herbivore, and it likely ate an incredible amount of foliage each and every day in order to sustain itself. 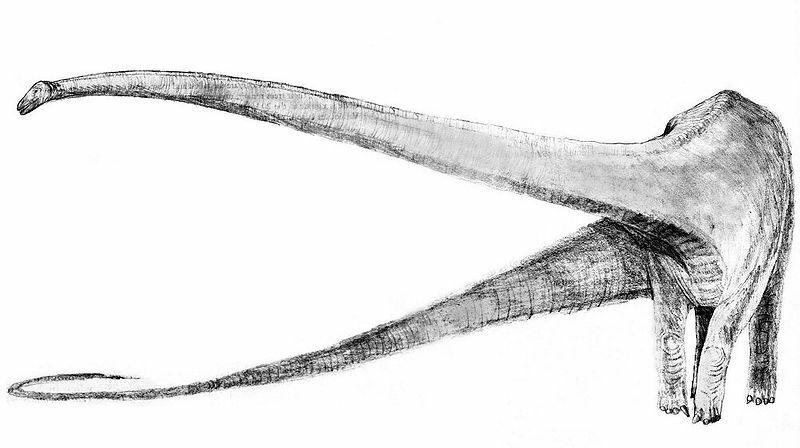 It is thought that Mamenchisaurus used its extra-long neck to forage greenery from area foliage, and as it stripped an entire area of available foliage then this plant-eating dinosaur would move on to another area. In this way, Mamenchisaurus would have moved often, especially when travelling in herd fashion. It is theorized that Mamenchisaurus swallowed its entire food whole, using its scoop-like peg tooth formation to simply strip foliage from its life-giving source. Then its digestive system utilized gastroliths in order to mulch the fibrous diet to deliver sustenance to its body. Among the foliage that Mamenchisaurus would have had access to are conifers, seed ferns, cycads, ferns, mosses and horsetails. The body of Mamenchisaurid dinosaurs was probably so heavy that it would be impossible to move without sapping too much of its own energy stores, which it may have needed later in order to migrate to areas not yet stripped of plant material by its herd. This large dinosaur probably moved slowly on its four columnar legs that resembled those of today’s much smaller elephant. Mamenchisaurus may have deposited eggs “on the move”, being too large to properly care for them. Their eggs would have been left to hatch soon after, and the hatchlings would have had to survive their initial freedom and maneuvering to a safe spot for resting, feeding and socializing. It would be a long life of lucky calls for young Mamenchisaurid dinosaurs that would be easy prey for carnivorous dinosaurs. When they did make it to adulthood, Mamenchisaurid dinos were likely to have lived to be 100 years old. All Mamenchisaurus discoveries have been found in China. This dinosaur lived about 156—145 million years ago, during the Late Jurassic Period. Its climate would have been warm, with no polar ice caps and with high sea levels. A lot of the land would have been marshy. Mamenchisaurus’ friendly neighbors were probably other Sauropods of the time such as Brachiosaurus, Diplodocus and Spatosaurus, along with Allosaurus and Supersaurus. The area where Mamenchisaurus is recovered was once a lush forest. Many fossilized woods have been found. Scientists theorize that the area had plenty of water in the form of a massive lake or aquifer which was probably fed by a large river. Sichuan, China was the first location of Mamenchisaurus discovery, in 1952 Asia. A Chinese paleontologist named Chung Chien Young first described the prehistoric dinosaur genus Mamenchisaurus in 1954, after excavating and studying the fossilized remains. The assigned type genus was Mamenchisaurus constructus. This specimen’s neck was incomplete and total size estimates were relatively short at this time. Mamenchisaurus fossils have been found in various area of the Dashanpu Formation in China, which is a formation of layers of aged rock. There are four main layers, or productive layers, of paleontological geological consideration. The upper two layers are the most explored of the Dashanpu Formation, being the area to have been most productive in prehistoric dinosaur finds. Apparently much less has been recovered from the bottom two layers of the Dashanpu Formation. 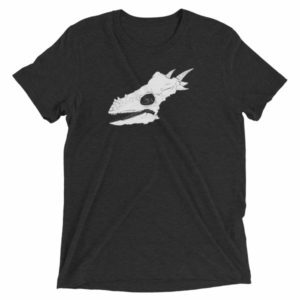 It is believed that so many specimens of Mamenchisaurid dinosaurs are found in this area due to its prior climate—a vast river-fed lake that would have carried any dinosaur remains along a very long course to a final resting place together at the formation. It wasn’t until 1972 that a definite second species of Mamenchisaurid dinosaur was found, called Mamenchisaurus hochuanensis, named by Young & Zhao. 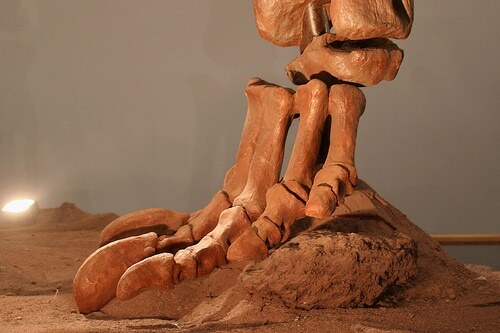 This type species was found in four partial skeletons in the upper Dashanpu Formation, and this group’s estimated size is about 72 feet in length. In 1993, Mamenchisaurus sinocanadorum was found in the same geographical location and described as possessing the longest cervical rib of any sauropod dinosaur yet discovered, lending to today’s awareness of the size of this earth-dwelling creature. 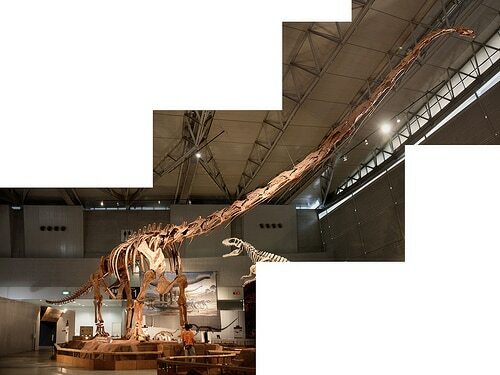 At 13.5 feet, it compares in huge contrast to the longest sauroposeidon cervical rib which measures over 2 feet less. In 1994 scientists found a partial skull and isolated bones of the type species subsequently named Mamenchisaurus sinocanadorum. It is believed that this may have been the largest Mamenchisaurus, at 85 feet in length. In 1998, scientists named the type species Mamenchisaurus jingyanensis, also from the upper Dashanpu Formation, and estimated at between 66 to 85 feet (20 to 26 meters) in length. Finally, in 2001 a discovery was made of another Mamenchisaurus hochuanensis, which had a skull, pectoral girdle and forelimb material. These were all missing from the holotype specimen. The new specimen was also found with four fused tail vertebra that appear to have been some sort of tail club or sensory organ. Young had intended to name this genus according to the place where its first fossilized remains were found, at the construction sit next to the Mǎmíngxī Ferry Crossing by the Jinsha River. But due to a mistake of language, the scientist actually named the locale slightly inaccurately; however, the fossil was found as a result of construction work, and led to Young naming it so, as Mamenchisaurus constructus. The neck measured 49 feet long itself, being the longest neck of any dinosaur or other creature known. Nineteen vertebrae supported the heavy neck of Mamenchisaurus, some of them being as thin as eggshells and delicately balanced on each other and utilizing supportive rod-like structures. In contrast, the head of Mamenchisaurus was very small, and believed to have encased a brain that did not fill to capacity the cavity of the skull. In fact, what was once believed to have been another part of the brain is now considered to have been a large extension of the spine. While Mamenchisaurus has been a bounty of discovery for paleontologists, scientists and other prehistoric dinosaur enthusiasts, still much is not known about this largest of saurpod dinosaurs. Scientists continue to discover new type species and in time—due to the large number of Mamenchisaurid dinosaurs to have existed—it is thought that much more will be learned from study of this magnificent prehistoric earth creature as well as Mamenchisaurus.